Sergio Morales Muñoz will conduct in-country field research over the course of October through December 2016 in the area of environmental law, focusing on environmental impact assessment, climate change, and sustainable development. Morales graduated from the University of Barcelona (UB) with a BA in Law in 2012, where he showed interest in Environmental Public Law and Regulations. He studied how these tools can help face the adverse consequences of climate change and progress towards sustainable development. After obtaining his degree, he pursued his LLM in Public Law from Complutense University of Madrid (UCM), and a Master in Business Administration from Polytechnic University of Catalonia (UPC). Although most of his studies and experience were in the fields of Law, his involvement with the private sector and civil society inspired him to focus more in social and environmental aspects, such as environmental and sustainability assessment tools. He is currently a PhD candidate at the University of Barcelona, working with Dr. Esteve Pardo as his supervisor. He is interested in spatial planning and his PhD dissertation focuses on the connection and potential synergies between climate change, sustainable development, conservation, human well-being and environmental impact assessments. During the course of this project, he will be collecting and investigating local perceptions of the public administration; the relationship between public organization and society and how public administration must use specific tools to face different decisions when those decisions are under scientific uncertainty; and how those tools can help in the fight against climate change; and supply methods to create and guide the society towards sustainable development. 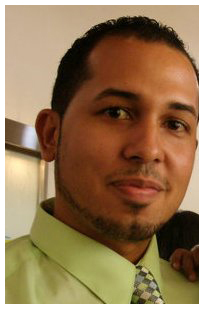 As a GFDD/Funglode Fellow, Sergio will focus on gathering data, using qualitative methods, on local perceptions of the different social actors in the Dominican Republic. During the course of the research he will be interviewing local administrators and state administrators; private actors and social actors; as well as international organizations focused on environmental protection; relevant government officials and NGO employees. The data will then be used to produce a narrative about the status quo of State relationships surrounding environmental impact assessments, climate change and sustainable development in the Dominican Republic. The potential for collaboration and conflict will be highlighted during the course of this work, and then coupled for comparison with information from a preliminary study in Spain on the issue being studied in the Dominican Republic. In the future, the investigations seek to find a positive political pretext to promote a new legislation in the Dominican Republic regarding sustainability assessments and to push towards the enactment of Zoning Laws, essentials to real development in any country. Dr. Arias will conduct in-country field research over the course of a few months in the summer of 2016 in the areas of economic development and capacity building, through the role of remittances from the standpoints of (1) senders, by looking at levels of capacity building of the Dominican Diaspora in the United States and Spain, and (2) recipients, by observing/measuring how (or if) remittances affect their social integration process to mainstream society. Using remittance as one of the key economic drivers of the Dominican Republic financial standing, Dr. Arias explores the levels of human capital or capacity building of Dominican diaspora in the United States and Spain, and she argues that as such, capacity building/human capital should be of concern to the sending country’s government as it impacts migrants’ abilities to send remittances in measurable and sustainable levels. As a GFDD/Funglode Fellow, Dr. Arias will examine the following: (1) globalization, as it relates to emerging market economies and immigrants’ capacity building as a human capital source, host country’s workforce development and its ability to match immigrants’ skills and wages in relation to the amount sent to the home country; and (2) remittances, as it has been argued that it significantly reduces levels, depth, and severity of poverty in the developing world and as being an important conduit of foreign investment from the diaspora in the home country, but does remittance affect the levels of social integration or exclusion to mainstream society? Is there a difference between recipient families versus non-recipient families as it pertains to access to education, workforce development, health and exposure to crime? 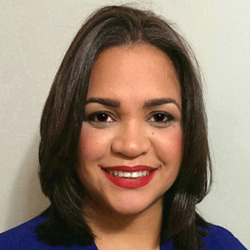 Dr. Fenix Nikaurys Arias holds a Doctoral degree from the CUNY-Graduate Center, a Masters degree in Higher Education Administration, from the School of Public Affairs at Baruch College—CUNY, a Bachelor degree in Sociology from Columbia University, and an Associates Degree in Liberal Arts, from Hostos Community College—CUNY. She also holds degree certificates, in Fundraising, Immigration Law, and successfully completed the New York State Mediation and Peace-making Certification. In addition, she is an alumnus from CORO NY Immigration and Civic Engagement Leadership Program. Dr. Arias is a small business development and minority business inclusion specialist with a diverse background in both public and private sectors. She has extensive experience with small and mid-size businesses on developing and executing assessment rubrics, business transformation, as well as strategic plans. Fenix is data-driven decision maker, who cultivates a holistic approach to participants’s needs assessment and growth plans. Her current portfolio includes capacity building evaluation of emerging small businesses; curriculum and program development for adult learners; identifying and assessing existing and emerging business practices for potential areas of compliance vulnerability and risk management; and developing methodology for continuous compliance utilizing consistent categories and leveraging cross-functional data to identify risks and controls. Dr. Arias has over 15 years of experience in the field of higher education, in the areas of Academic and Student Affairs, and has held positions at New School University, Bronx Community College, and Hostos Community College. In addition to her Higher Education background, she has also collaborated with assessment objectives at various International Organizations, and NGOs. She taught “Immigration and Crime” and “Race, Ethnicity, Class and Gender in America,” at John Jay College of Criminal Justice—CUNY, in the Sociology Department. In addition, Dr. Arias taught “Western Philosophy” at York College-CUNY. She sits at two community boards, and volunteers at various community-based organizations conducting mediation, fundraisers, as well as food/clothing drives. Dr. Arias’ research interests are social inclusion/exclusion drivers, social policy, social justice, Globalization, transnationalism, and advocacy for minority’s rights. Her dissertation, Left Behind: Children of Dominican Deportees in a Bulimic Society, explores how theories of (i) social bulimic—system process of inclusion and exclusion from the socio-political and economic mechanisms—; (ii) human waste—when society, through its school system and the home environment fail to fully develop its youths’ full potential, wasting their human capital—; and (iii) toxic environment—racial and social class construction—impact the socio-political and economic integration of underprivileged/disenfranchised youths to mainstream society, making the United States a bulimic country. She studies the social exclusion drivers that prevent youths from entering the current uneven labor market. Dr. Arias has presented on the topic of Bulimic Society, Globalization, Education, and Immigration at various conferences in the United States, and internationally at UASD University, Dominican Republic, Hamburg University, Germany, Moscow State University, Russia, and at Barcelona Latino Radio Station, in Barcelona, Spain. In addition to her presentations, she has been recognized by various organizations, including the Presidency of the Dominican Republic, for her dedication to silent communities, her research endeavors, and her ardent participation in community events that promote education and social mobility among minority children. 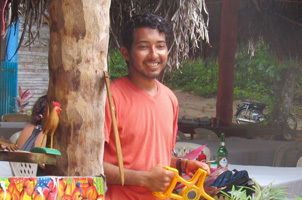 Melvin Alvarez will conduct in-country field research over the course of a few months in the summer of 2016 and in January of 2017 in the areas of property rights theories and community and tourism development. Melvin graduated from Skidmore College with a B.A. in Environmental Studies and Spanish Literature in 2015. As a student at Skidmore College, he coupled his studies with interdisciplinary research on the sustainability of food recovery and hunger alleviation. He, and his team, studied the environmental and social implications of hunger relief organizations in Upstate New York. He is currently a candidate of a Master of Arts in Marine Affairs at the University of Rhode Island, working with Dr. Robert Thompson and Carlos Garcia-Quijano as his supervisors. He is interested in studying the dynamic relationships between coastal property and social and economic outcomes in the Samaná Province. Tourism development, environmental economic resources , oceanography, national and international ocean law and policy, and coastal community development are topics that Melvin has studied during his time at URI. His master’s thesis focuses on the processes to establish beach privatization and enclosure at different stages on the continuum of beach access and the effects on the socioeconomic structure of two coastal communities in the Northeastern Dominican Republic. During the course of this study, Melvin will be investigating the way in which coastal community members and tourists perceive and enact coastal property rights at different levels of tourism development and enclosure, i.e. along a continuum from completely open to the public to completely closed to the public. 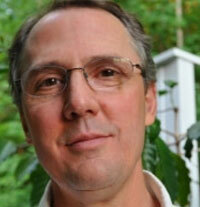 His research will pay particular attention to the effect of such changes to the coastal community. As a GFDD/Funglode Fellow, Melvin will focus on gathering mixed qualitative-quantitative data from business owners, community leaders, and local and international beach users—inducing artisanal fishers and tourists. Interviews and observational data collected in the summer of 2016 will be complemented with quantitative survey data, to be implemented in January 2017 to measure and quantify important variables from the qualitative interviews. This data will adequately highlight how modifications in shoreline access inflict change on the social, political, intellectual, and economic capital with respect to specific places along the shoreline. Research findings will provide insight into the application of five leading property rights theories used to justify beach enclosure and the implications for coastal communities at different phases of tourism development and privatization. Aireona Bonnie Raschke will conduct in-country field research over the course of a few months in the spring and summer of 2016 in the area of conservation and economic development. Aireona graduated from the University of Arizona (UA) with a B.S. in Ecology and Evolutionary biology in 2011. As a student there, she coupled her studies with exploratory research on conservation and ecology topics. She studied communication in honey bees, and size polymorphism in bumbles bees, as well as ant social networks. She also worked on a project studying seed propagation of an invasive grass. After obtaining her degree, she took a summer position as an assistant wildlife biologist in UA's Mt. Graham Red Squirrel Project. Although her involvement with this project was ecology and conservation-based only, the relationships between conservation efforts and local people inspired Aireona to shift her focus to interdisciplinary work and seek a PhD. She is currently a PhD candidate at Arizona State University, working with Dr. Ann Kinzig as her supervisor. She is interested in studying the connection and potential synergies between conservation, human well-being and economic development. Urban ecology, ecosystem services, integrated conservation, and development projects are topics that Aireona has studied during her time at ASU. Her PhD dissertation focuses on whale watching ecotourism development in the Caribbean, and its effect on native cetacean species and local communities. During the course of this project, she will be investigating local perceptions of the whale watching industry, the relationship between various country characteristics and whale watching's economic success, and the varying vulnerability of different cetacean species to the impacts of whale watching. As a GFDD/Funglode Fellow, Aireona will be focused on gathering data on local perceptions of the whale watching industry through the use of qualitative interviews in the Dominican Republic. During the course of this work she will be interviewing local people in communities with whale watching businesses, as well as whale watching operators, relevant government officials and NGO employees. Mixed, qualitative methods will then be used to analyze the interviews and produce a narrative about the current state of local relationships surrounding whale watching in the Dominican Republic. The potential for collaboration and conflict will be highlighted during the course of this work, and then coupled for comparison with information from a preliminary study looking at the same thing in Dominica. Megan Beddow will conduct in-country field research through the Fellows Program during the summer of 2015 in the area of nonprofit partnerships and institutionality. 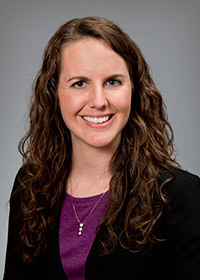 Megan holds a BA from Florida Southern College in mathematics, sociology and Spanish, and is currently a dual Masters of Public Affairs and Master of Arts candidate at Indiana University. Her research scope includes nonprofit management, community development, and social entrepreneurship, with a focus on Latin America and the Caribbean. Previously she has published in the mathematics field of topology, and is now seeking to use her analytical skills to uncover solutions to pressing issues in international development. As a GFDD/FUNGLODE Fellow, she will conduct her research on the presence and respective nature of collaboration within the Dominican nonprofit sector. Her methodology includes gathering survey and interview data from development nonprofits and international nongovernmental organizations (INGOs) with missions aligning with the United Nations Millennium Development Goals, with the aim of contributing to the augmentation of voices of local Caribbean practitioners in the nonprofit management and development literatures. The research will form part of her master project, and she aims to produce an additional report with recommendations for INGOs seeking to work with Dominican organizations to be published through the program. Megan’s professional experience includes a period of national service as an AmeriCorps volunteer in Miami, Florida, as well as consulting in youth development and budgeting and operations in Puerto Montt, Chile. She also has experience coordinating family and community stabilizing services, acting as a financial coach, managing youth programs, and facilitating instruction of language, literacy, and finances to diverse populations. Megan’s passion for Latin America has led her to reside in Mexico and Chile, as well as to enjoy various travels through Costa Rica, Peru, and the Dominican Republic. With a propensity for systems thinking, Megan anticipates that further study of ways to enhance efficacy for Dominican nonprofits focusing on education, job training, and job creation will create pathways for greater opportunity for all Dominicans in the years to come. 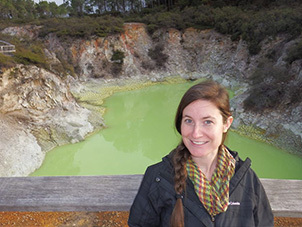 Jenna A. Giandoni is conducting her in-country field research with the Fellows Program over three months, from January – March 2015. She holds a Bachelor of Science in psychology and a minor in political science from Old Dominion University. She is currently a dual Master of Business Administration and Master of Science Environmental Management & Sustainability candidate at Illinois Institute of Technology (Illinois Tech) in Chicago, Illinois, where she is learning to create a business case for environmentalism. Jenna boasts almost 10 years of work experience and has served with the Peace Corps in Latin America and Eastern Africa, focusing in the areas of strategic planning and community development. Throughout her professional experiences, she has gained a deeper understanding of the necessity to promote environmental protection in order to achieve long-term economic growth throughout the world. Jenna recently completed an Advanced Certificate in Emerging Markets & Political Risk Analysis from Fordham University, which included travels to South Africa to research and analyze the country as an emerging market. She has managed grassroots projects and has collaborated with senior levels of government, executives, and nongovernmental organizations on programs related to homeless prevention, HIV/AIDS, economic development, education, gender issues, and environmental sustainability. As a GFDD/FUNGLODE fellow, Jenna is researching the topic of impact investing as it is applied to environmentally sustainable businesses in the Dominican Republic. Her passion for fusing the environmental and business fields inspires her pursuit in an impact investing career and her current research. She is interested in doing comprehensive research on the challenges and successes of companies using an environmentally-focused business model, and the role of the public, private and non-government sectors to efficiently mobilize capital for environmentally and financially sound businesses. A major part of the research is to identify businesses specifically designated as impact investments or that would qualify and benefit from impact investment capital. Jenna is establishing metrics to quantify project effectiveness considering environmental impact and ability to generate sufficient returns, ultimately compiling this information and data for her research. Christina Davidson is conducting her in-country field research with the Fellows Program over ten months, from November 2014 – August 2015. She holds a dual BA from Yale University in Latin American Studies and International Studies, an MA in History from Duke University, and is currently a doctoral candidate at Duke University. She also conducted research as a Mellon Mays Undergraduate Fellow (2007-2009), which supported her first research experience at the United Nations Institution for the Research and Advancement of Women (INSTRAW) in the Dominican Republic in 2007. 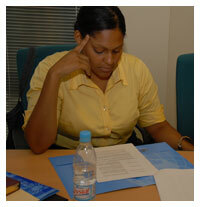 During that year, she also partnered with InteRDom and studied abroad with CIEE-Santo Domingo. 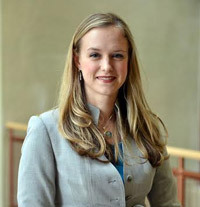 As a GFDD/FUNGLODE Fellow, Davidson will conduct her research for her dissertation, “Converting Spanish Hispaniola: The Transnational Genealogies and Racial Politics of Protestantism in the Dominican Republic,” focusing on the history of Protestantism in the Dominican Republic and examining the establishment of Protestant Christianity. She will be collecting data from the Archivo General de la Nación and the Archivo de la Iglesia Evangélica Dominicana. Christina will realize her fellowship under her advisors and dissertation committee members: Dr. Laurent Dubois (dissertation chair), Dr. John French, Dr. Adrianne Lentz-Smith, and Dr. Michaeline Crichlow. In the Dominican Republic, she will be advised by members of the Academia Dominicana de la Historia. 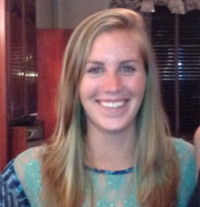 Emma Fawcett conducted her in-country field research through the Fellows Program in September of 2014. Her findings will be published in a book for the Research and Ideas Series produced by GFDD/FUNGLODE, as well as presented at FUNGLODE in the Summer of 2015. She holds a BA from Rutgers University in political science and Spanish, an MS from The New School in nonprofit management and global policy, and is currently a doctoral candidate in international relations at the School of International Service, American University. 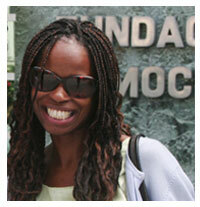 Previously, she assisted with a World Bank-funded value chain analysis of the Haitian apparel industry. Her graduate thesis focused on economic development strategies for fisher folk in the commune of Marigot in Haiti’s Southeast department. She has also researched the impact of teacher union mobilizations on education reform in Oaxaca, Mexico. Prior to beginning doctoral studies, she worked in human resources in the private sector, as both a generalist and a recruiter. As a GFDD/FUNGLODE Fellow, she conducted her research on the relationship between national tourism promotion policy and private sector investment in the mass tourism sector, and probed how the tourism industry might be mobilized for poverty reduction in developing countries, under the guidance of in-country expert, Miguel Calzada, President of CTN, Caribbean Travel Network in the Dominican Republic. Emma’s research interests include international development, political economy, and social movement studies, with a regional focus on Latin America and the Caribbean. Her dissertation explores the political economy of tourism and development in Cuba, Haiti, the Dominican Republic, and the Mexican Caribbean. Emma is fluent in Spanish, and has worked, traveled and studied throughout Latin America, the Caribbean, Asia, and Europe. Hilary Lohmann conducted her in-country field research through the Fellows Program from June to July of 2014. Her findings will be published in a book for the Research and Ideas Series produced by GFDD/FUNGLODE, as well as presented at FUNGLODE in the Summer of 2015. She holds a BA in Animal Behavior and Spanish from Bucknell University, and is a candidate for a Masters of Marine Affairs at the University of Rhode Island (URI). In addition to her studies, Hilary has spent much time abroad, and her experiences around the world include volunteering in Zambia, teaching in Vietnam, and various internships in Marine Science in Belize. As a GFDD/FUNGLODE Fellow, she conducted her research on the capacity of natural resource-dependent communities to adapt to unavoidable climate impacts, under the guidance of in-country expert, Ruben Torres, Director of Reef Check in the Dominican Republic. Hilary’s research employed the Marshall and Marshall survey method that provided a list of statements where the participant indicated his or her level of agreement or disagreement with each one. The statements measured an individual’s attachment to his or her occupation and community, perception of job security and changes in climate and resource availability. The results will be analyzed by Hilary to determine the vulnerability community members (direct and indirect marine resource users) have to changes associated with variations in climate. Dr. James (“Jim”) Mahon conducted research through the Fellows Program in 2013-14. Dr. Mahon is Professor of Political Science and Political Economy at Williams College in Williamston, Massachusetts, and a researcher at the Woodrow Wilson Center in Washington, DC. During his fellowship with GFDD/FUNGLODE he conducted research on the political economy of tax reform in the Dominican Republic under the guidance of Germania Montás, former deputy director general of the Dirección General de Impuestos Internos (DGII). Prior to his fellowship, he presented several publications that include the book Mobile Capital and Latin American Development (Penn State Press, 1996), an article on the causes of tax reform in the Latin American Research Review,2004, and a working paper titled Tax Incidence and Tax Reforms in Latin America. In 2012, a fiscal reform took place in the Dominican Republic which had great impact in civil society and the future of fiscal policy formation. In 2013, during his first trip to the Dominican Republic with the Fellows Program, Dr. Mahon presented his first paper related to this topic titled La Tributación en la República Dominicana y la Reforma de Noviembre 2012 en el Contexto Regional y Global. The newest version of this project focuses on the role of civil society and the corporate sector in the tax reform process. 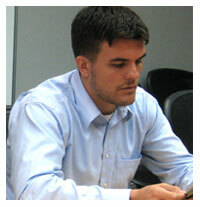 Mat Rosa participated in The Fellows Program from January to April of 2014. He holds a BA in Politics from St. Anselm College, an MA in Political Science from the University of Rhode Island (URI), and is a candidate for a Masters of Marine Affairs at URI. Furthermore, he is an adjunct faculty at URI and is in charge of the university’s study abroad course in the Dominican Republic. As a GFDD/FUNGLODE Fellow, he conducted his research on the governance profiles of institutional arrangements for climate change adaptation under the guidance of his faculty advisor, Dr. Stephen B. Olsen, Director Emeritus of the Coastal Resources Center in the United States, and several Dominican experts from the Climate Change Council at the Dominican Ministry of Environment. Mat’s research includes interviews with key stakeholders and analyses of legislation and climate change adaptation plans for coastal resources in Santo Domingo, the capital city of the country. Henry Montero participated in the Fellows Program during a 3-month span from February to May of 2014. 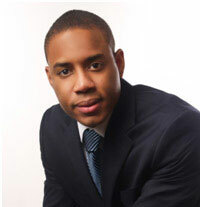 Henry holds a BA in Business Administration and Computer Science from Monroe College, a Master’s in Mental Health Psychology from Manhattan College, and is currently pursuing a PhD in Psychology from Capella University. His research explores the question: “Can initial treatment using Cognitive Behavioral Therapy increase the positive quality of life for Parkinson’s disease psychosis patients?”. For this research he received guidance from his local advisor Dr. Marcia Castillo of the Foundation Against Parkinson’s Disease. Parkinson’s disease currently affects around six million people worldwide. Cognitive Behavioral Therapy (CBT) consists of a combination of behavioral and cognitive therapies that assist various mental and physical conditions. The purpose of this study is to apply CBT to a test group of patients suffering from Parkinson’s disease psychosis (PDP) in the Dominican Republic to see if the treatment improves their condition and quality of life. During his time with the Fellows Program, Henry brought more visibility to both the Program and his research by participating in various radio and television interviews to discuss the study. 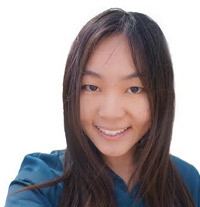 Yuan Li participated in The Fellows Program in the Fall of 2013. During her fellowship in the Dominican Republic, she was in the process of completing her M.A. in International Development and International Economics at Johns Hopkins School of Advanced International Studies (SAIS). Yuan's research focuses on the China-DR bilateral economic relations in the absence of official diplomatic recognition between the two countries, and how China has affected Dominican local development from the perspectives of trade, investment, and the role of Chinese diaspora. As a GFDD/FUNGLODE Fellow, Yuan collected a large quantity of unprecedented information regarding this topic. She interviewed high-level Dominican officials in different ministries and government agencies, leaders of Chinese chambers of commerce, representatives of Chinese firms in the Dominican Republic, as well as top economists and historians. 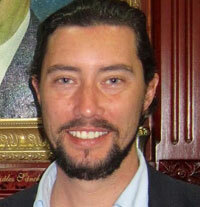 José Caraballo Cueto participated in Fellows Program in the summer of 2012. José is a Ph.D. 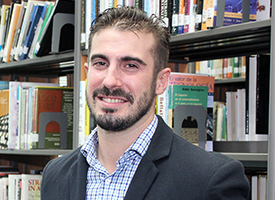 Candidate in Economics at The New School for Social Research, and his investigation examines how increases in employment and entrepreneurship contribute to poverty eradication and enhanced market competitiveness in the Dominican Republic. He analyzes how the country can maximize gains associated with the global market by expanding native productive capacity through entrepreneurial activity, from the creation of micro-businesses to the establishment of large-scale firms. His study assesses the multiplier effect of native exports versus that of free zone exports. José is realizing his fellowship under the guidance of Fellows Advisor in the area of Economic Development, Frederic Emam-Zade, and received commentary on his final draft from Magdalena Lizardo, Director of the Advisory Unit of Social and Economic Analysis of the Ministry of Economy, Planning and Development of the Dominican Republic. Through the Program, José also had the opportunity to connect with other professionals conducting work on similar topics. José holds a M.A. in Economics from the University of Puerto Rico College of Social Sciences and a B.A. in Business Administration from the University of Puerto Rico College of Business Administration. He has experience teaching micro and macroeconomics at Berkley College, and has also worked as a research associate for Center of Puerto Rican Studies of Hunter College. José is the owner of two small businesses, Ferretería Caraballo and Remodelaciones Caraballo, and is a columnist for the newspaper El Nuevo Día. Carl Allen participated in The Fellows Program during the summer of 2009. At the time of his fellowship, Carl was working to complete his M.A. in Public Policy & Urban Planning at the Harvard Kennedy School of Government and Graduate School of Design. Carl’s comprehensive study is an analysis of the potential impact of the metro in Santo Domingo on poverty alleviation, congestion, pollution reduction and social and educational development. As a GFDD/FUNGLODE Fellow, Carl interviewed key people in the area of transportation and conducted survey studies of Santo Domingo’s ridership. The outcome of his research is an extensive report on the effects of the metro on the nation’s urban development, which includes recommendations for maximizing societal benefits. Carl conducted his research under the guidance of his Fellows Academic Advisor, Leonel Carrasco, Sub-Director of OPRET (the Office of Reorganization of Transportation). In May 2010 Carl presented his findings during a panel on the Metro System of Santo Domingo organized by GFDD and FUNGLODE during the Eighteenth Session of the Commission on Sustainable Development at United Nations Headquarters in New York City. November of the same year he was also invited by the Dominican Studies Institute and The Grove School of Engineering of the City University of New York to discuss his research during a panel on science and economic development in the Dominican Republic. Yosmayra Reyes joined The Fellows Program in the summer of 2010 as a researcher in the area of mental health care. During her fellowship with GFDD and FUNGLODE, Yosmayra was realizing a M.A. in social work at the Columbia University School of Social Work. Yosmayra’s study identifies existing challenges within the field of mental health, with a focus on early detection at the primary care level. 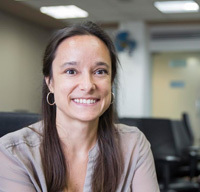 In addition to evaluating the impact of health care policy on mental health care services nationally, her research also looks specifically at how mental health assessment is integrated within primary health care in Monte Plata, Dominican Republic. Yosmayra carried out her investigation with support from her Fellows Academic Advisor, Dr. Alberto Fiallo Billini, Advisor on Public Health to President of the Dominican Republic, Dr. Leonel Fernández. In April of 2011, Yosmayra presented her investigation during a GFDD organized panel on mainstreaming mental health within overall public health paradigms during the Forty-Fourth Session of the Commission on Population and Development at United Nations Headquarters in New York City. 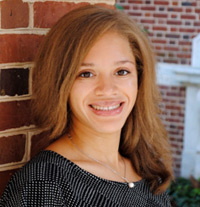 Latonja Taylor realized her fellowship with the program during the fall of 2010 and the spring of 2011. As a GFDD/FUNGLODE fellow, Latonja was completing her M.A. in international education development at the Columbia University Teachers College. Latonja conducted research related to integration of mobile technology within teaching and learning processes, particularly with respect to foreign language acquisition. Her study was carried out in close collaboration with Professor of Innovation and Educational Technology at Universidad del Caribe, Fabricio Cabrera, as well as with representatives from the Ministry of Education, the Presidential Office for Information and Communications Technology (OPTIC), local high schools and other private enterprises.